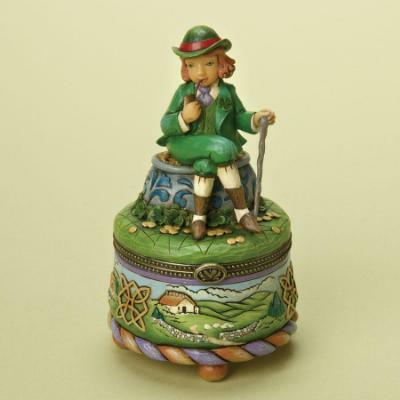 Jim Shore Wee Bits of Treasure Leprechaun Hinged Box 4014988. Introduction: 2009. Iron, Stone Resin. 4.75" H x 3" W x 2.75" L.